A lovely rich aroma....spring cut grass...with a zesty, young fresh citrus fruit taste, as well as a slight spritz. At just 10.5% achohol, it is absolutely ideal (tried and tested) for the garden/patio/balcony. Enjoy as an apéritif, with seafood, grilled fish, sushi and sashimi. 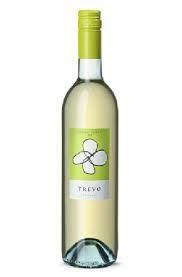 This white wine is a blend of Loureiro, Trajadura and Arinto Grapes.